Since the start of the international transfer window on June 1, 2018, the world of soccer has seen a plethora of world-class players moving clubs. And, it’s no surprise that we’ve been combing through data, data, and more data (because we love sports data!) about these players and their new clubs — wondering how each transfer might benefit their team this season and beyond. 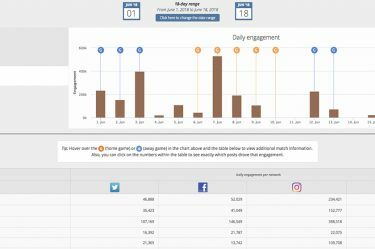 At Blinkfire, we were most interested in understanding how the transfer fees compared to each player’s social media “game”, specifically Twitter engagements. 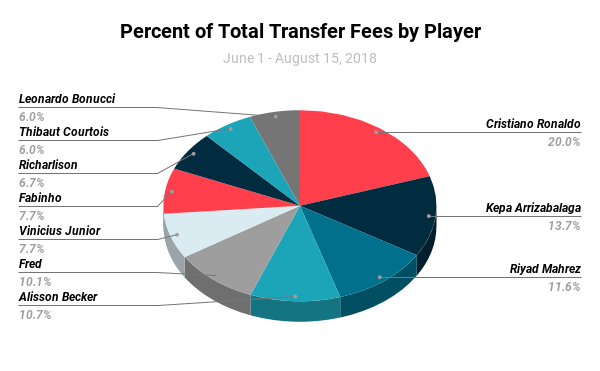 We chose ten players who transferred clubs this summer, breaking down their transfer fees, as well as Twitter engagements since June 1. The graphs below depict the individual player’s fee and engagements. These players include: Ronaldo, Kepa Arrizabalaga, Riyad Mahrez, Alisson Becker, Fred, Vinicius Junior, Fabinho, Richarlison, Thibaut Courtois, and Leonardo Bonucci. Looking at the transfer fees, Ronaldo takes the cake with 20% of the total, but right at his cleats (soccer joke) is Kepa Arrizabalaga, Chelsea’s new goalie with 13.7%. Manchester City’s exciting new winger Riyad Mahrez rakes up 11.6% of the total, while Liverpool’s current goalie Alisson Becker rounds out the top four with 10.7%. In terms of engagement, we see a very different story. 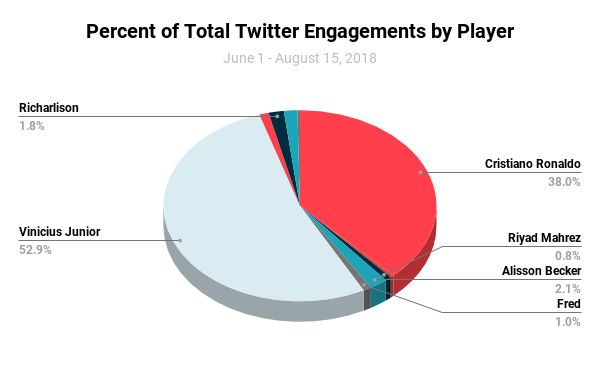 Vinicius Junior, Real Madrid’s new star winger (and still only 18 years old), generated almost 53% of the group’s total Twitter engagements — 7x more than his fee percentage. Ronaldo comes in second with 38% of the total – meaning that Vinicius and Ronaldo account for close to 91% of all Twitter engagements. On the flip side, Liverpool’s goalie Alisson Becker, who generated 10.7% of the transfer fee total, had a measly Twitter engagement of just 2.1%. As world class players continue to transfer clubs, the growing importance of their social media assets is something teams must keep in mind. Case in point: Ronaldo, the walking billboard of all athletes. 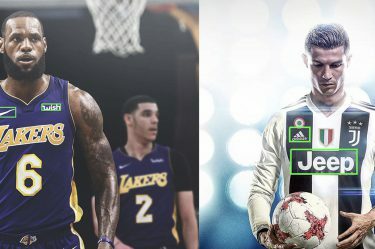 Since he transferred to Juventus on July 9, Ronaldo’s three Twitter posts where Juventus’ front of kit sponsor Jeep was present have received more than 1.3 million engagements. 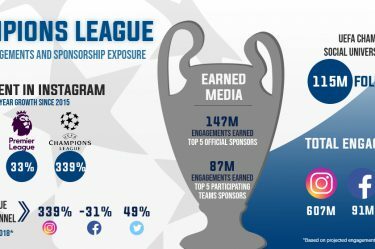 For comparison: Juventus published 876 Twitter posts with exposure for Jeep, earning 1.9 million engagements. Ronaldo = MVP of social. Bottom line: Players with a significant social following can provide their new clubs with a lot more than just quality performances on the pitch, but also drive exposure, engagements, and value to their clubs’ sponsors.